Description: One Stop Bedwetting is an online store providing products and solutions to children, teens and adults to stop bedwetting. Bedwetting impacts millions of children and even more adults and at One Stop Bedwetting, we have the best selection of bedwetting alarms, waterproof mattress protectors, urine stain removers and more for all ages. We offer the best brands at the best prices. Offer unlimited specialist advice and free shipping on all alarms and kits. Welcome to our affiliate program. 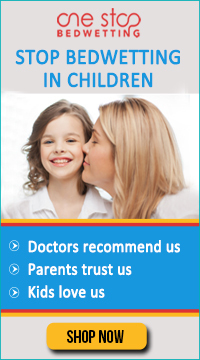 We are one of the largest sellers of bedwetting products. Our website features the top brands in bedwetting alarms, waterproof mattress pads and urine stain removers. With over 6 Million bedwetting children, over 20 Million bedwetting adults and Millions of bedwetting teens, we are well positioned to capture a large share of the market. We manufacture most of the products we sell and offer better customer support and prices than other websites. Come visit our store and check out for yourself why One Stop Bedwetting is the premier destination for bedwetting.